As any Maraquan could tell you, whirlpools can cause all sorts of damage on the ocean floor. Now, though, those swirling funnels of water have been put to good use! 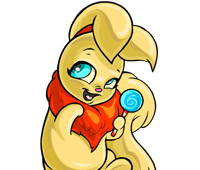 A bunch of Maraquan Petpets have wandered too far from their homes, and they need your help to find their way back. Use the whirlpools to direct those swimming strays back to the comfort and safety of their shell. Keep in mind, however, that whirlpools can be unpredictable � some can be moved while others cannot. You are about to send feedback on Whirlpool. We would appreciate it if you could give the game a rating out of 10, and also tell us any additional comments you may have. Thank you for your feedback on Whirlpool.